King Mubarak. Unknown (CartoonStock.Com). 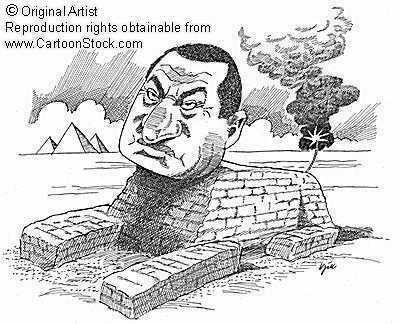 Wallpaper and background images in the Egypt club tagged: egypt sphinx hosni mubarak cartoon comic facing terror.